The 2nd Annual Indie Soap Awards (ISAs) were held on Monday night at The Ailey Studios in New York City hosted by the hilarious Martha Byrne and presented by We Love Soaps. DIARY OF A SINGLE MOM captured the Indie Soap of the Year award. 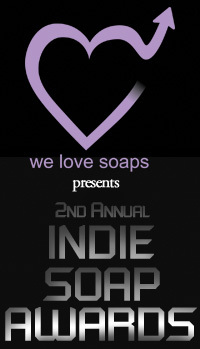 The show also took home the prize for Outstanding Lead Actress with Monica Calhoun winning her first Indie Soap Award. Anthony Anderson from ANACOSTIA was named Outstanding Lead Actor giving perhaps the most poignant speech of the night. The mostly industry crowd praised the new frontier of storytelling on the web in a number of speeches from winners that consisted of former daytime soap favorites and new indie pioneers.